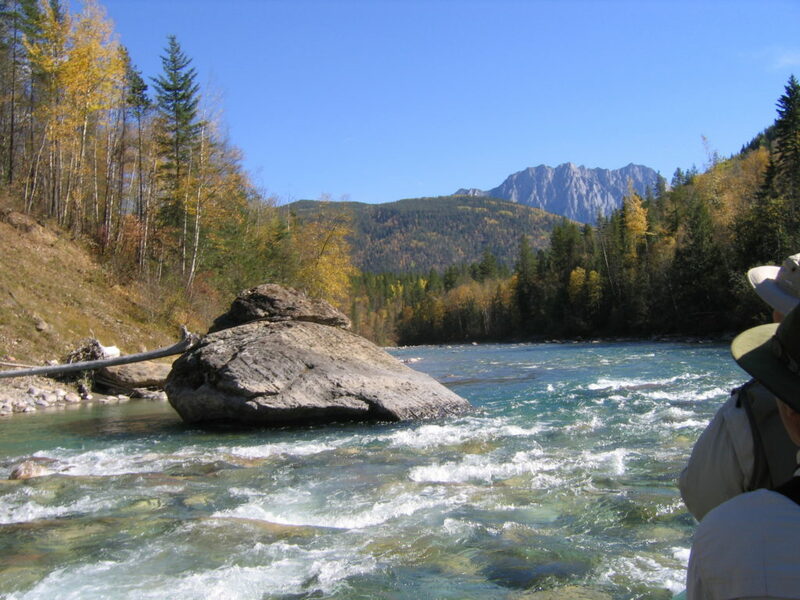 Emerging from the Macdonald Range of the Rockies, the Bull River flows about 50 miles (80 kilometers) southwest until it also joins the Kootenay River. 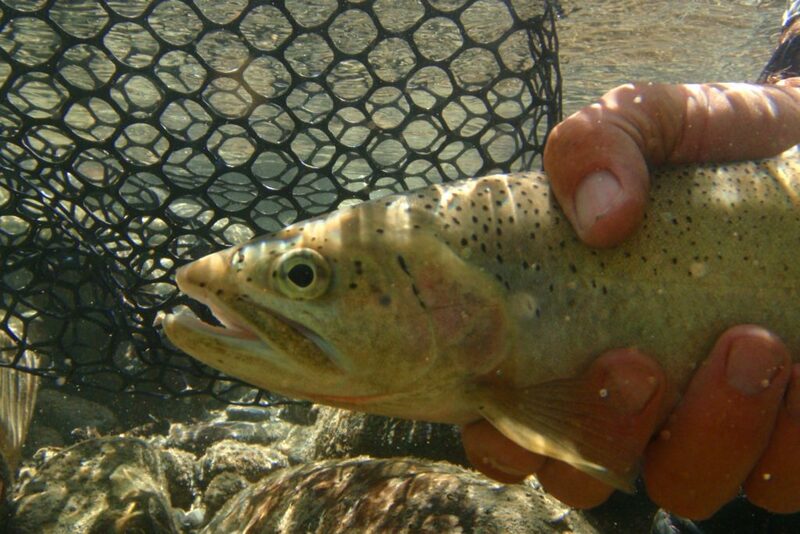 It is a scenic little stream with an extraordinarily robust population of wild West Slope Cutthroats. Most of the cuts are in the 10-12 inch range with some to 14. Catch rates are from 20-100 per day. 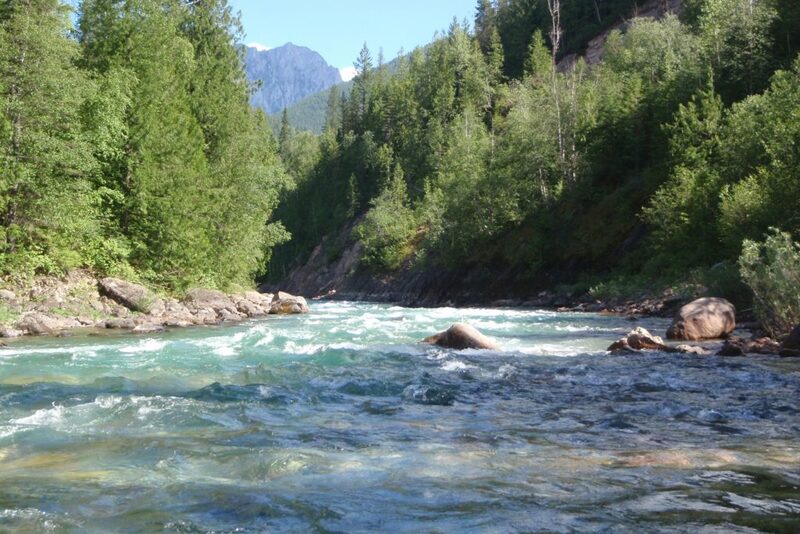 The Bull River has a lot of structure to it with many large rocks and boulders and is more narrow than the St. Mary and Elk rivers. 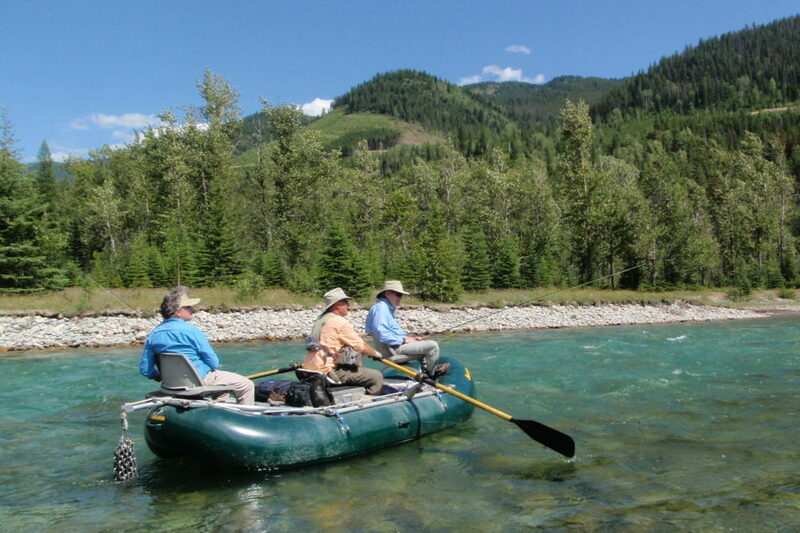 In addition, it has a lot of Class 2 and 3 water which our guides will skillfully manoeuvre you through. 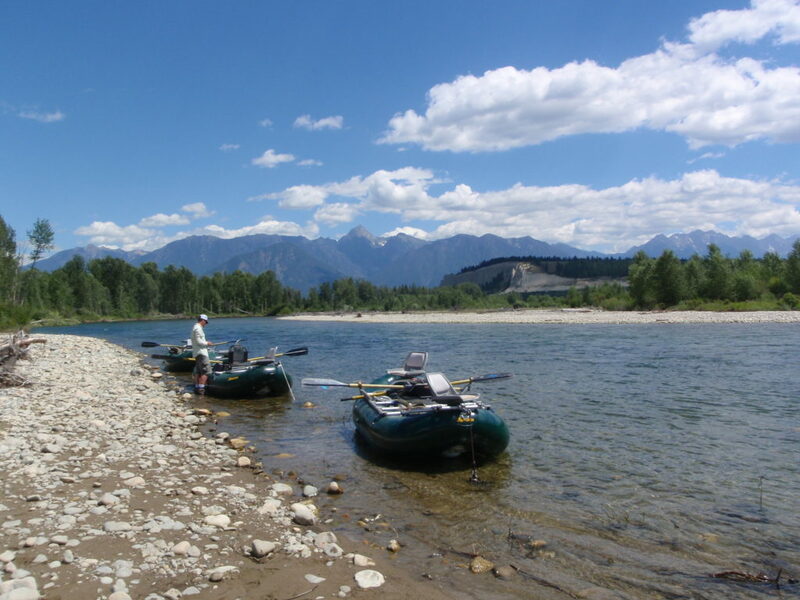 A float on the Bull is a particularly beautiful trip as the River flows along the back side of the "Steeples" which are part of the Hughes Range of the Rockies making for some spectacular views. 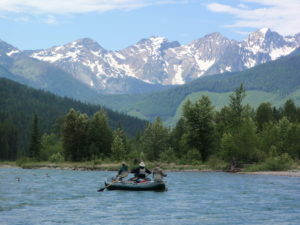 The season on the Bull River is from late July through August. The River is blessed with robust hatches of caddis and mayflies. Any good attractor pattern works well; i.e. Royal Wulffs, Royal Coachman, Parachute Adams, etc. 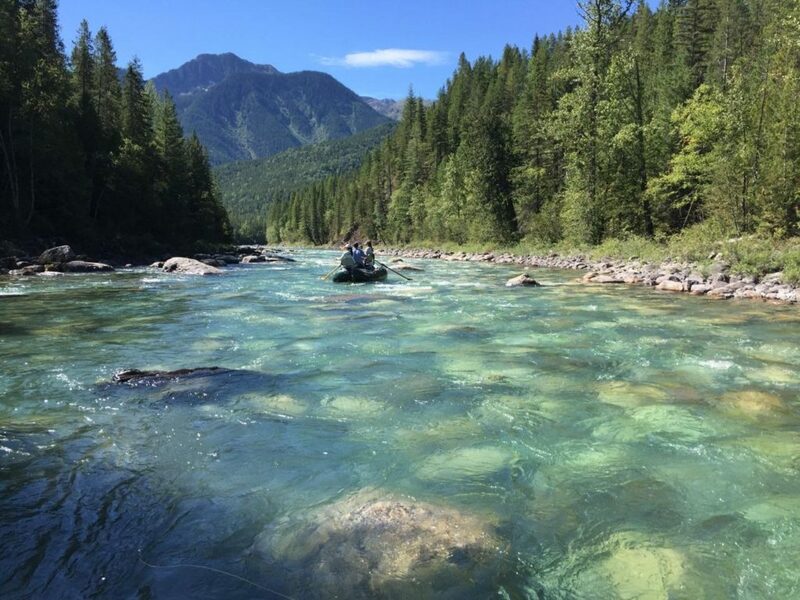 Since the fishing pressure on the Bull is very low and the number of cuts is quite high, you are in for some fun days on the scenic little emerald river.